Last week once more the newspaper 'Eßlinger Zeitung' published a story with photos of mine. 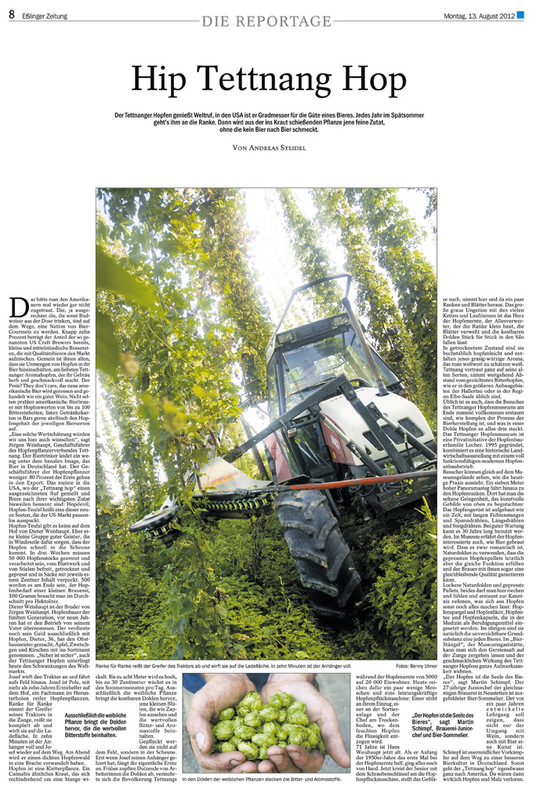 Mid/end August is harvest season of hops in the Lake constance area. Aurthor of the article is Andreas Steidel.